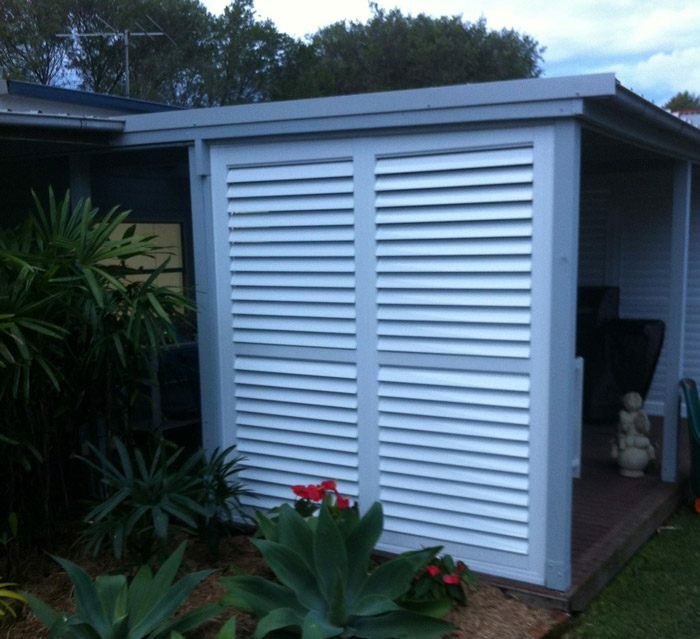 Aluminium plantation shutters are versatile and may be used in outdoor or indoor settings. Offering all the benefits of wooden plantation shutters, aluminum plantation shutters are lighter-weight, easy to clean, sturdy and attractive in modern decor. They are smooth to the touch and powder-coated to avoid chips, scratches or paint loss. Aluminium shutters offer clean lines and contemporary style that is also maintenance-free and attractive in any context. You have complete control over light, breeze, noise and privacy through opening, closing or adjusting your shutter blades to suit. When closed, aluminium plantation shutters sit flush against your window for seamless and effective window covering.